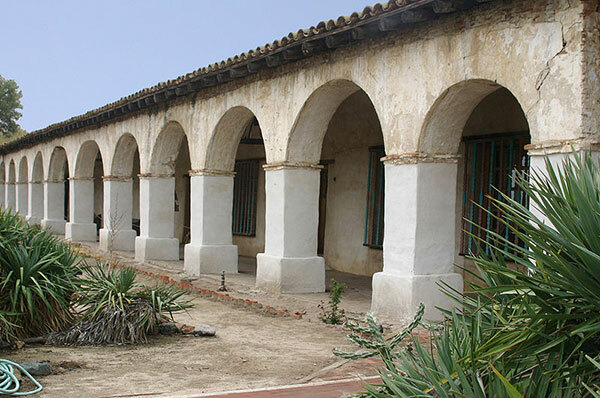 Mission San Miguel Arcángel was built near the upper reaches of the Monterey (Salinas) River, to fill the wide gap between Mission San Antonio and Mission San Luis Obispo. Many of the original buildings, the roof of the church, and a huge quantity of wool, cloth, and grain were lost of a great fire in 1806. A new, tile-roofed church was completed in 1818. A series of beautiful frescos were painted on the interior walls of the church by talented Mexican artist Estéban Munoz; the frescos can still be seen today. 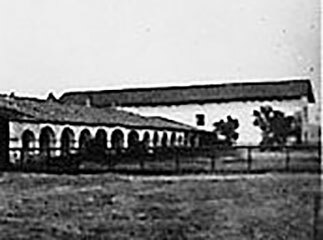 A convento was added in 1822 to house the friars and visiting guests. 1859 – Returned to Catholic Church. 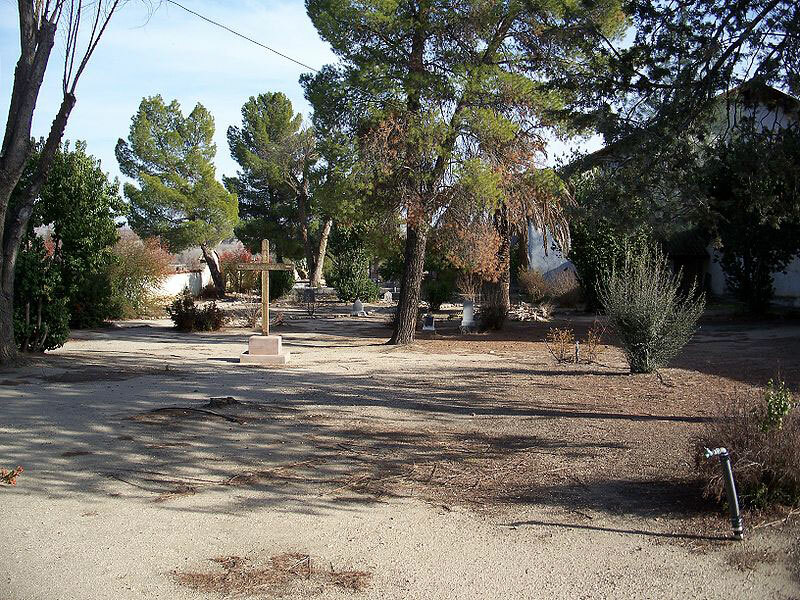 Visitors can see archeological remains of several adobe buildings, a small museum, and the 1818 adobe church. Note the uneven arches of the mission colonnade. The beautiful and colorful frescoes on the church walls are the best-preserved original interior decorations remaining among the California missions. There is also a unique campanario, or bell wall, constructed of adobe and finished with smooth river rocks. The largest of the three bells weighs 2,000 pounds; it was cast in 1888 from six broken bells from other missions. The brick bell tower shown in the photo above is not original or authentic; it was constructed in the 1950s. The fountain in front of the mission was added in the 1940s. 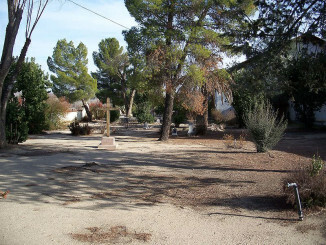 Mission cemetery. Photo by Elf. Note the uneven arches of the columnata. Photo by Elf.